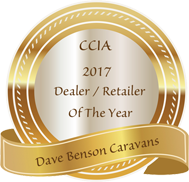 Dave Benson Caravans is proud to be the Lotus Caravans Dealer for South Australia. 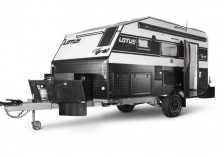 Lotus Caravans have been building innovative vans with cutting edge technology since 2004. 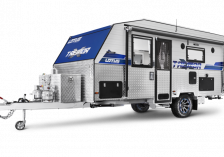 Every van has serious off-road capability so that you can go anywhere you want in Australia. 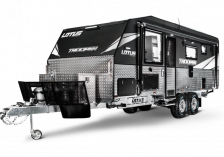 The surprising level of luxury and style are a delight to anyone who is new to this the Lotus brand and we have many customers who have been delighted to have chosen a Lotus van for their outdoor adventure. 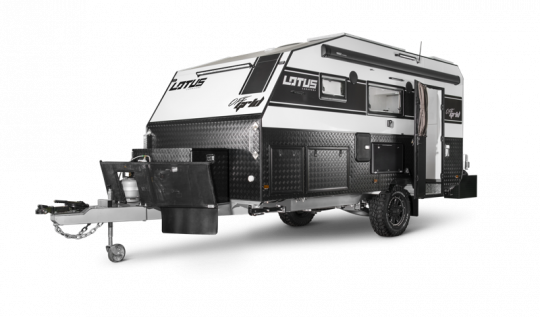 Check out these four great Lotus Caravans with an amazing range of flexible floor plans. 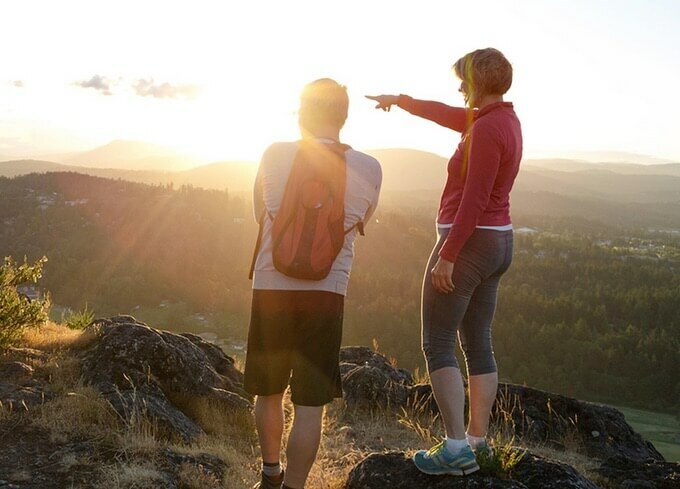 Choose from 6 Great Floor Plans to get the layout you want. 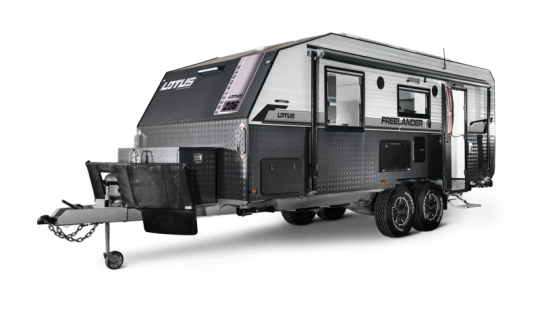 Want the Aussie dream – well with serious off-road capability and the ultimate in sheer luxury, you’ve just found it with the Lotus Freelander. This amazing touring van is incredibly versatile. 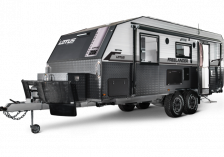 The stylish modern interior is balanced perfectly by the rugged, robust exterior to take you anywhere off the beaten track in comfort and style. The 10 Floor Plans available with the Freelander, mean that you are sure to find the perfect layout for you and your family. 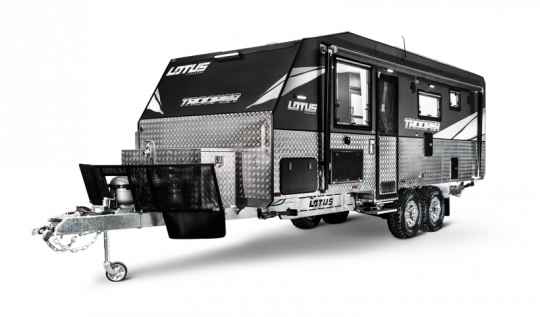 The Trooper really is the ultimate in off-road touring. The high levels of sophistication, innovation and comfort are truly amazing. 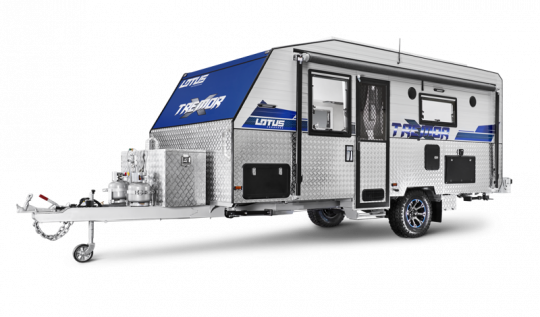 Available in a choice of 8 layouts and sizes, there’s a Trooper to suit your needs, so you can travel in comfort, with the confidence that you’re towing a van that’s as durable and reliable as it is elegant.